As the leader of engineering operations, Ashish is key to the design, build, and deployment of all projects for HotWax Systems. He also maintains and optimizes the infrastructure, and leads the efforts to better open source projects as a contributing member of The ASF. Ashish earned a Bachelor of Engineering in Computer Science from the Jawaharlal Institute of Technology, Khargone, MP, India. 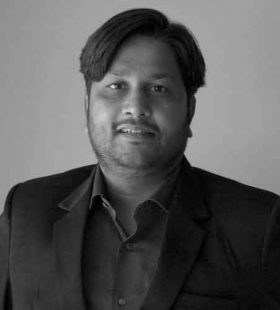 He has a keen focus on building a community of excellence in open source development, with HotWax University, located in Indore, India. Ashish also enjoys old Hindi songs, off-roading in his SUV, and contributing his time in support of the Zero Budget Natural Farming nonprofit initiative, helping communities throughout India to thrive and grow.